You should understand the language and terms for vesting in your employer's various contribution plans before making a commitment. While some employer contributions are fully vested at the time they are provided, others are subjected to time limits and operate on an escalating scale over time known as a vesting schedule. One example is if your employer offers matching funds to your 401(K) deductions up to 10% of your total contributions. Let's say that you designate that $10,000 be put into your 401(K) this year. That means, your employer will contribute an additional $1,000 (or 10%) in matching funds, with immediate vesting. The immediate vesting means that the contribution belongs to you in its entirety, although any withdrawals are subject to the IRS rules governing these plans. Another example might be a firm that offers employees restricted stock grant on their hire date, with 100% vesting in the stock occurring on the employee's third-anniversary date. This form of vesting is called cliff vesting and means that you have no claim on the items offered until the actual third-anniversary date is reached. If you leave the firm after two years that means you would not be able to take (or cash in) any of your stock grants. An alternative to cliff vesting is graded (or graduated) vesting which is governed by a vesting schedule. Using the example above of the restricted stock grant, a graded approach might suggest that 25% of your shares vest in years one and two (for a total of 50%) and the remaining shares (valuing 50%) vest on your third anniversary. This way, if you leave the firm after your first year, you would have control of 25% of the shares, and so forth. The use of stock options is common in many privately held start-ups and technology firms. 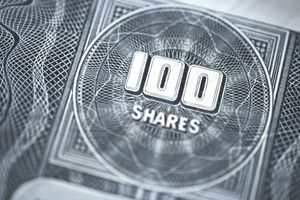 This stock option offers the right to acquire a share of stock at a particular price on (or before) a particular date. Instead of a date, another right-to-acquire option might be a trigger event such as a change of control of the firm. In this case, change of control is merely a fancy term for the acquisition of your company by another firm. Entrepreneurs love this kind of vesting option. And why not. Let's say you have been granted 10,000 options with a stock price of $3.50 per share. If the terms of your stock option grant indicate that they fully vested at change of control and another firm acquires your firm at $4.00 per share, your options immediately vest at the closing of the acquisition. This means you have the right to buy the 10,000 shares at $3.50 each and immediately sell them for $4.00 each, thereby making a profit of .50 cents per share. Many government, municipal, and education jobs offer a qualified retirement plan that is governed by a vesting schedule based on your years of service. As your years of service increase so does your vesting percentage until you reach a maximum of 100% at a future anniversary date. However, if you leave your job prior to becoming fully vested, you receive a future retirement benefit at some percentage of the total, but not the total. Pay close attention to the language surrounding vesting for any of the benefits offered by your employer that involve contributions. The vesting schedule you choose may dictate your career options, including choosing to remain with the firm until you reach an important anniversary date.